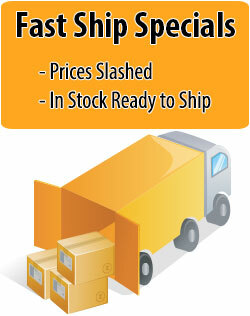 5 ton Single Girder Bridge Crane Kit Featuring Street ZX hoist now in Stock for fast shipment. 70 foot max span and 460 volt 3 phase power. Street Crane's Overhead Crane kits are a quality alternative, built for lower total cost of ownership and ease of maintenance. ZX hoists are at the heart of the Street Crane Kit, this electric wire rope hoist distinguishes itself from the competition by offering easier accessibility for maintenance, inspections , and repair . Street makes a point of using more industry standard components in the design of their hoists and crane kits, unlike those from other brands . This allows the end user greater flexibility in sourcing repair parts and avoids black box mystery parts that can only be source from the original manufacturer. This is a great strength of Street Crane and is one of the reasons you find cranes built with Street Crane kits all over the world. Just like all of the quality crane kits provided by Hoosier Crane this new line from Street Crane includes everything you need to build your overhead crane in a convenient kit. All you need to supply is the bridge beam, paint and labor to assemble the crane kit . We provided you with the expertise, design services and can even provide runways if they are needed. We are also happy to provide you with assistance during the building process with any questions that arise. Hoist Unit including trolley mechanism and electrical control panel. Plug and play Cable Festoon Kit. 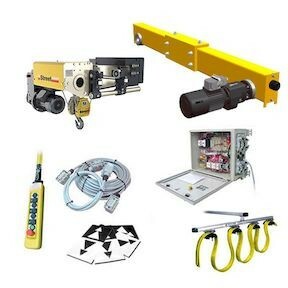 Street Crane standard crane kits incorporate the most up-to-date innovations in lifting and traveling technology. We include a long list of safety and operating features.